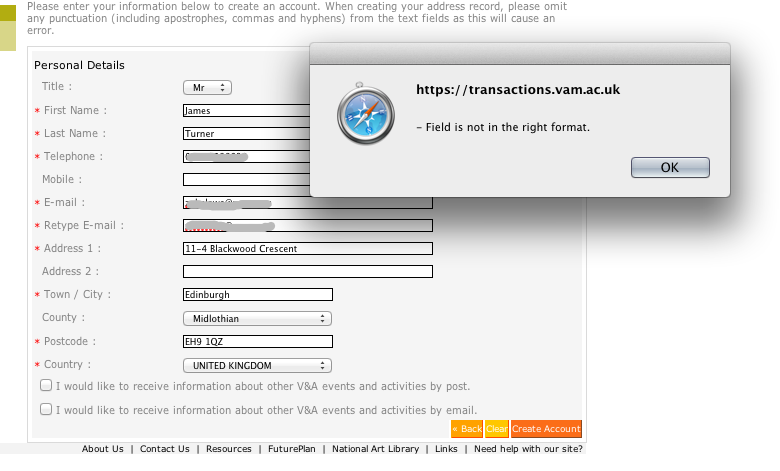 Form validation fail « I think I feel another exclamation mark coming on. In case it wasn’t obvious, it’s hard to distinguish ’11/4′ or ’11-4′ from ‘114’ when you can’t use punctuation. Fortunately this is not the first time this has happened. Posted Monday, October 31st, 2011 under art, culture, geek.